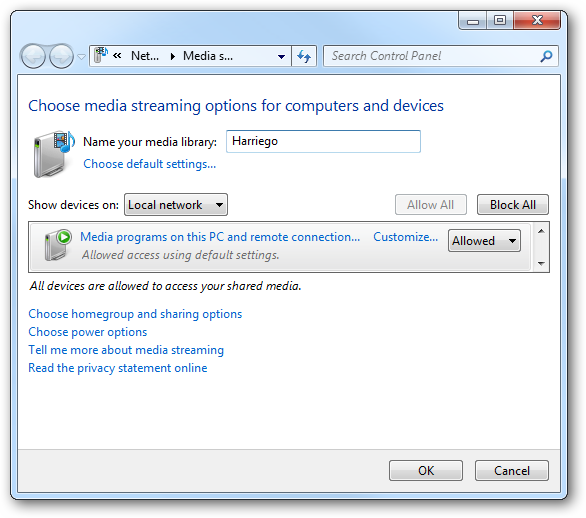 What is Play To Feature in Windows 7 and How to Use It to Stream Media Across Devices? Windows 7 wants to make your computer your one-stop shop for all things multimedia. This means playing music, watching videos, going through photos and streaming content should be easy to do. 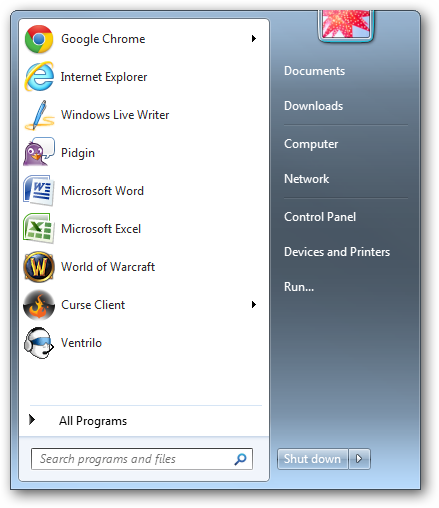 Windows 7 introduced the Play To feature to make doing all of the above simple the way it was meant to be over a network. Play To relies on a variety of multimedia devices on a network. These devices can be other computers or wireless-enabled DVD players or stereo systems. As long as the devices are sharing the same network, they can use the Windows 7 Play To feature to stream content without having to transfer it back and forth. 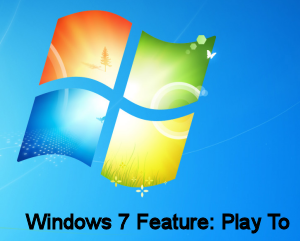 In order to begin using Play To in Windows 7, you have to set up your network and devices for it. You will need a network where all devices are connected to it. Any device connected to the network that wants to use this feature must be capable of using and connecting via a remote connection. If they cannot do this, they cannot take advantage of what Play To has to offer. Locate the “Windows Media Player” link and click it to open the program. You want to click on the “Library” link at the top of the menu. A system Window will pop up giving you a little bit of information on what turning on this type of streaming does. 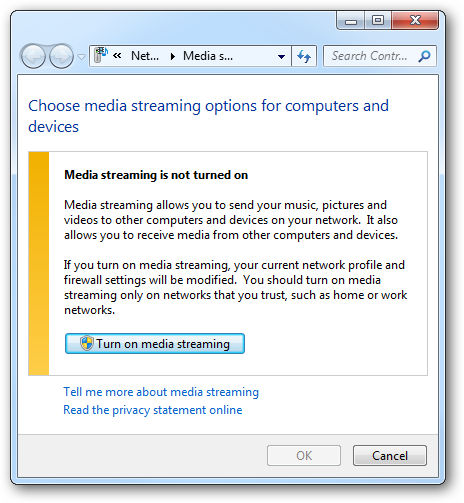 If you are sure about it, click “Turn on media streaming” in this window, too. 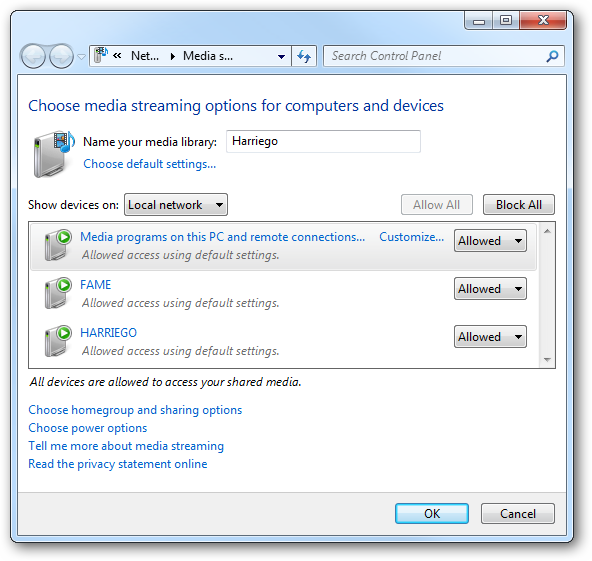 The media streaming options window will pop up. You can name the media library whatever you choose and tinker with other individual settings for what you can share and what can be shared. 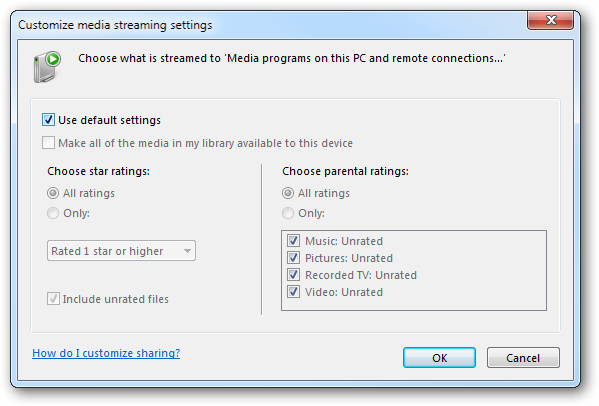 If you click “Customize…,” you can get more advanced options for media streaming, such as parental controls, ratings or just to use default settings. If your network, especially at home, is secure, you can check “Use default settings” and be safe when streaming media. You can then add any computer on your network by following the same steps. Once you have added another device, in this case, I have set up streaming on my desktop (Harriego) and then I went and added my laptop (Fame.) They are now both capable of streaming to one another and using the Windows 7 Play To feature. 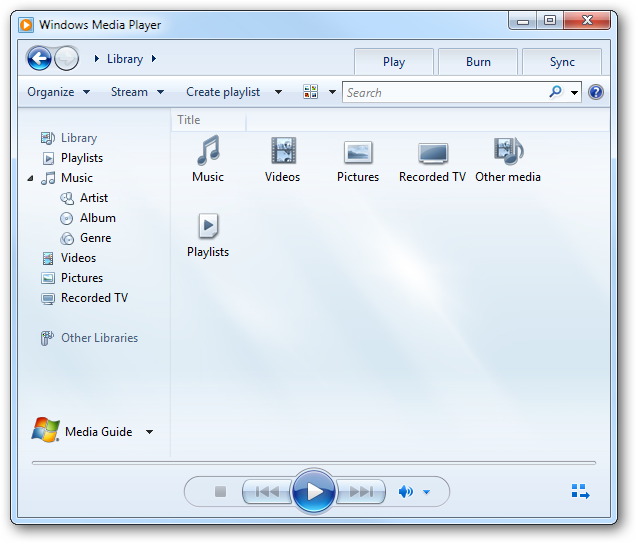 Now, the quickest way to get started with Play To between computers is to utilize Windows Media Player. 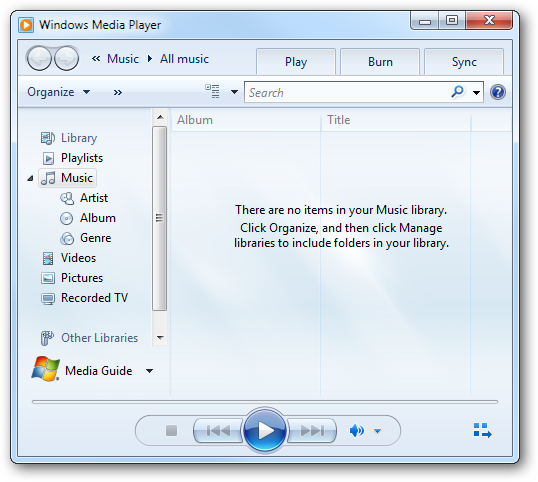 The first step is to create a playlist in Windows Media Player of the songs you want to stream. 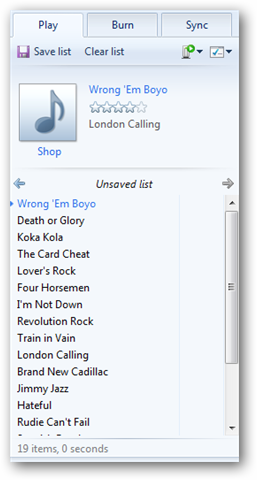 Click the “Play” tab on the right-hand side of Windows Media Player. Since you are managing your tunes through the Windows-based software, to begin with in most cases, it should not take long to create a playlist to share. Once it is created, you want to take a look at the top right of the playlist. You will see what looks like a portable hard drive with a white arrow inside a green circle. When you see this white arrow inside a green circle, that means at least two devices are enabled on a network to stream media. In this case, my laptop and desktop both have Windows Media Player open and settings are ready to stream media between the two. Click on that “white arrow in a green circle” icon. You will be greeted with a list of media streaming-enabled devices over your network. For me, I am currently on my laptop and looking at my desktop in this sub-menu. If I click on my desktop in that sub-menu, the Play To menu will pop up. 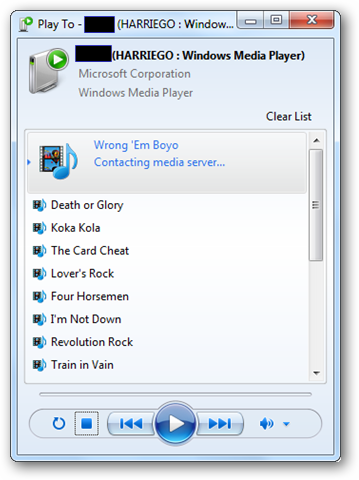 From here, you can control all the basic features of Windows Media Player in a mini-player window and are now actively streaming media between two computers. These are just the basic functions of Play To, once you begin playing around with how your home network works, shares and streams, you can get so much more out of the Play To feature. Learning how to use it is not hard, and Microsoft provides a variety of tutorials on how to setup, work with and take advantage of Play To. How does Play To make playing media better? For someone who does not take advantage of home networking, Play To seemed a bit of a chore to set up and begin working with. It is easy to use once set up but getting there is the real battle. For those really utilizing a network the way they are meant to be used, the Play To feature can make life much easier by allowing you to stream media between computers. This eliminates the need for flash drives, portable hard drives and finding other ways to transfer media between devices or computers. 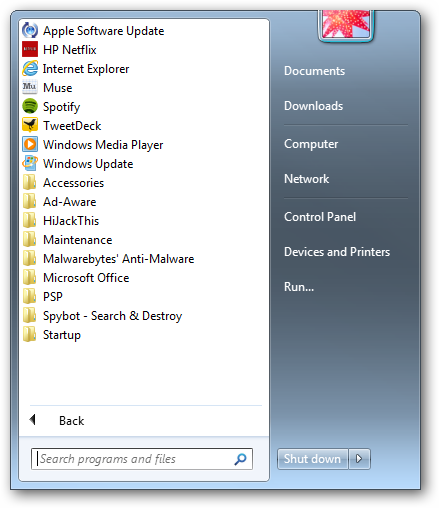 Since Play To also allows you to connect other devices, such as DVD players and stereos when it comes to music this Windows 7 feature really can bring more to the table when it comes to sharing music, movies and more over a network. If you find yourself transferring movies, photos and music between devices or computers and are looking for a way to make things easier on yourself, looking into networking and the Play To feature are a good way to get started finding a solution to media sharing. What is the Shake Feature in Windows 7 and How to Use It? What is the Peek Feature in Windows 7 and How to Use It?